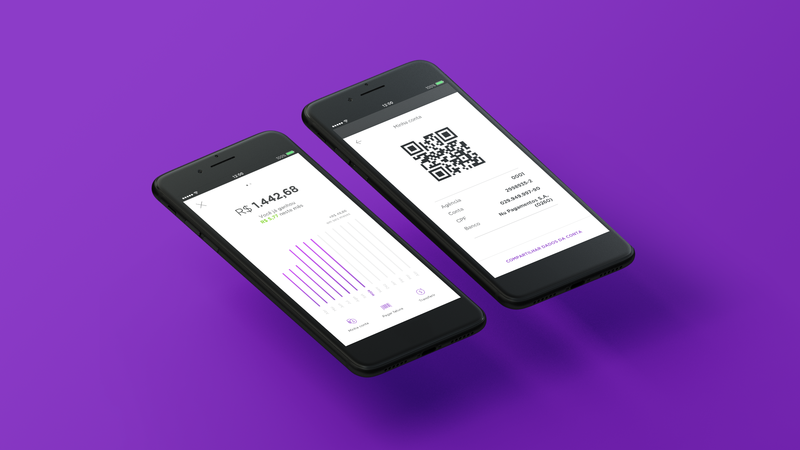 In October, Nubank announced our boldest product release since our revolutionary credit card: NuConta, a single account that allows people to save, invest and transfer money in real-time. NuConta is a complete redefinition of how banking accounts should work, and here’s how our design team arrived at this new concept. Nubank’s core mission is to remove complexity and empower people. The credit card, our first product, has achieved viral growth among our customers by doing exactly this, but it’s a product accessible only to a select population due to credit analysis requirements. In fact, we have received over 13 million requests to get a Nubank card, but had to say no to a considerable percentage of those people. 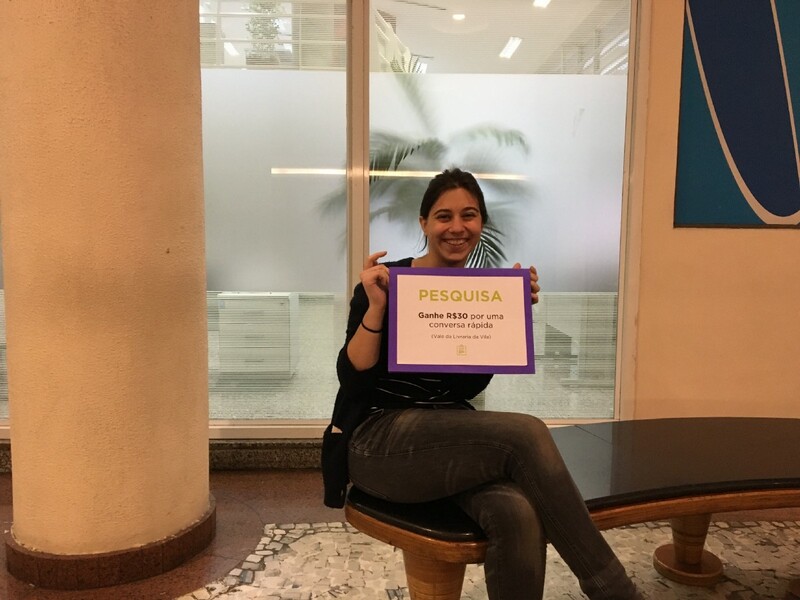 Our customer base, which is nearing 3 million accounts, is already representative — we’re currently Brazil’s no.5 credit card issuer — but still limited when compared to a market of 120 million Brazilians who are unbanked or have to deal with expensive and abusive banking services that dominate the market. The next logical step in bringing our mission and user experience to a broader population, regardless of their income, credit scores or other barriers, was to build a product anyone could have access to: our version of a banking account, NuConta. Designing, building and launching NuConta in 12 months was only possible because of how the team was structured and governed. The squad, as we call teams here, was composed from the very beginning of product, financial, engineering and design talent, none of whom had built something like this before. It was a group of unbelievably bright, but most of all humble people, who were completely open to learning and having their opinions challenged. This was, of course, a fascinating and unique project to be working on, so people couldn’t avoid coming in with their premature views and expectations for what the final product should be. The role of design was as much about facilitating alignment between these expectations, bringing clarity to compromises and decisions, and replacing our biased opinions with real people’s pains and needs, as it was about designing UI flows, copy, or making prototypes. 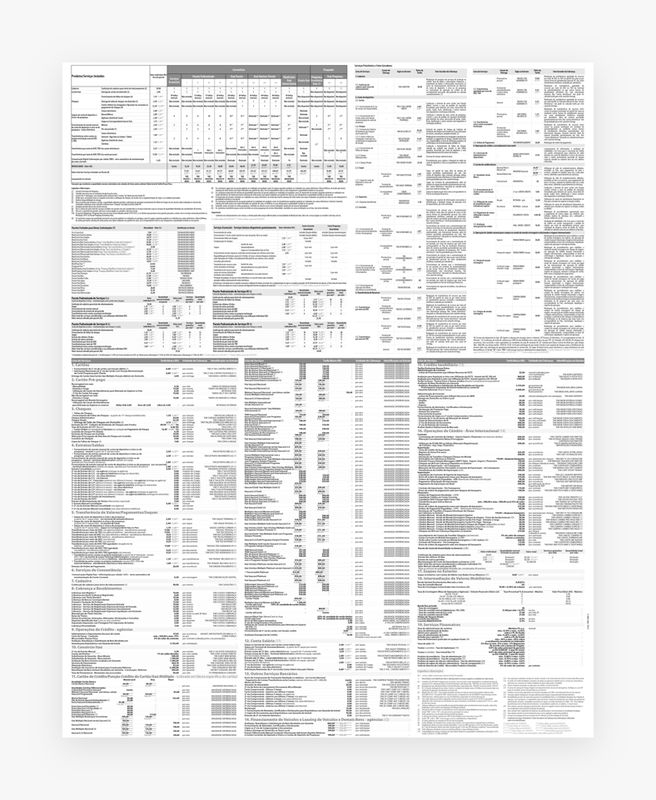 As much as we designers like to structure and visualize our process, what happens in our reality is more complex and asynchronous than the diagrams we’ve grown accustomed to. Doing solid foundational research before starting anything else can surely de-risk product placement, but inevitably delays engineering and thus time-to-MVP. The Design team working to figure out how to shape the product to answer the customers’ needs. The Engineering team working at full-speed to put the banking infrastructure together. The Intel and Legal team powering through the sea of legislation, third-party interactions and contracts. Each of these threads constantly fed each other with their learnings and advancements, and we adjusted the product accordingly up to the last moment before shipping. “Go do the best research you can, come back to tell us what you’ve learned, and we’ll adjust as we go. We’re not afraid of throwing our code away.” — The best thing a UX person could hear from their dev team. We were committed to challenging our most basic assumptions about how people understand and use banking services, so our initial conversations were purposefully broad and naive. We started with a simple list of questions, but we adjusted frequently along the way. How do people currently manage their money? What do they think about the different account types? Do they even understand them? Do people save money? Why? Where? Are people aware of product options in the market? How do they feel about the products on the market? What attracts them? What scares them? How complicated is the current landscape for a person with no financial background? If people want to start saving money now, what would be their first step? The fastest way for us to start asking (and testing) these questions was to sneak them into studies already being conducted by other product teams (namely, credit card and Nubank Rewards). We learned a lot very quickly by “stealing” a few minutes of our colleagues’ interviewing time, but their target audience could be skewed to non-target segments. To balance that out, we got out of the building to do intercept interviews in places like public universities and spaces, where we could reach a wider variety of people who were not already Nubank customers. These in-depth early interviews took 40–90 minutes each. We sat down and very informally let people talk about their financial lives, how they felt about saving, investing, transferring, and spending their money. 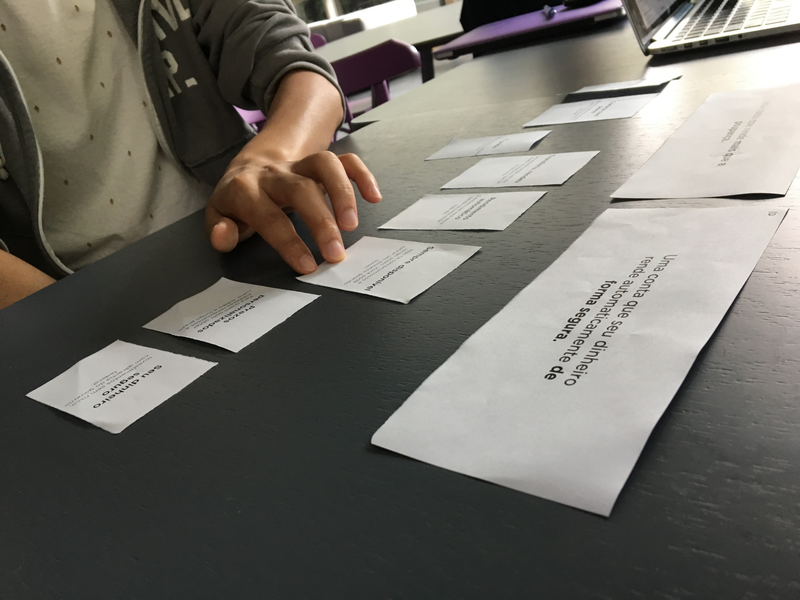 We also experimented with some visual aids such as card-sorting and very cheap prototypes, but honestly our best feedback tools were our competitor's websites and products. We learned an incredible amount just by having people experiment with things other companies have already built. By combining the data from these interviews with others conducted in our lab, and also talking to a lot of our own employees about their finances, we were able to come up with eight personas that represent a gradient of behavior and demographic patterns. The team learned that people represent a gradient of experience and behaviors. What we thought would add the most value, was often biased as it was based on our financially savvy perspective. The team learned that it would be impossible to design a product for every type of person, and that we had to choose some group to focus on. Our discussions evolved from being biased by personal opinions to being based on our chosen target’s jobs-to-be-done, pains and needs. Everyone in the team now remembers who Diego (one of our personas) is, what he struggles with, and that our efforts should be focused on making his financial life less complicated and more empowered, instead of our own. NuConta is an evolution of your current and savings accounts, designed for people looking for a more accessible and easy-to-use bank account. It’s free of complexity, doesn’t charge abusive fees, and makes your money grow at a fair interest rate. Differently from big banks and other fintech pre-paid products, NuConta has zero bureaucracy, less friction to adopt and a superior user experience. NuConta doesn’t serve people looking for advanced investments, home brokerage, paid wealth management advice. It tries to be accessible and self-explanatory, but without becoming an educational product. At its early stage, it also will not support goals or any other kind of gaming mechanics. We learned from this process that defining a problem is sometimes harder than sitting down to solve it. After dozens of long work days, heated meetings, lots of head-scratching, word-smithing, and sense-making about the material collected during research, the team was finally committed to a unified vision of the product that reflected our customer’s pains and needs instead of our own. We were now ready to deep dive into exploring solutions that would eventually become NuConta. 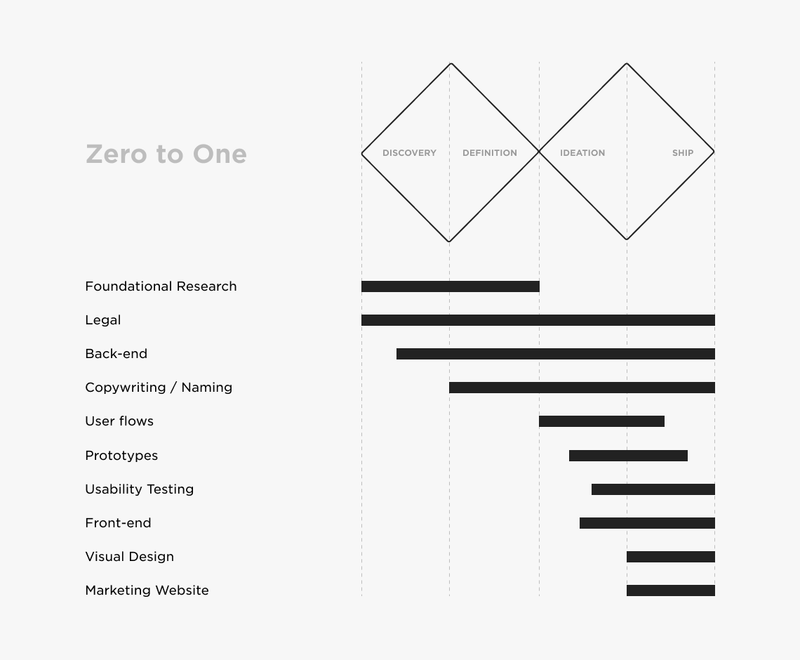 Click here to read Part II of this post and learn about how the next steps played out: product ideation, UI explorations, concept & usability testing, onboarding design, copywriting, and implementation. We are always looking for great designers to help us grow and fight complexity. If you have experience and want to build the future of financial services with us, look for open positions here. Thanks to Vitor Olivier, Camille Ramos, Hugh Strange, and Lucas Neumann.